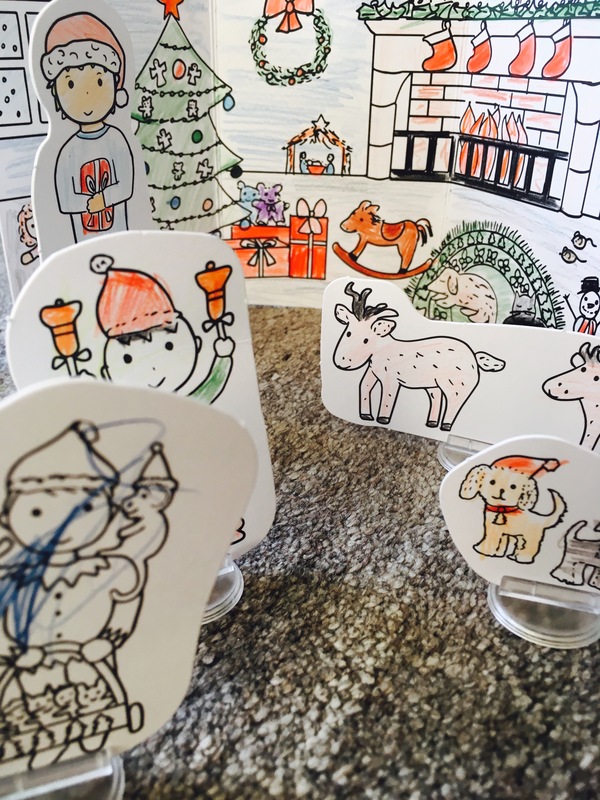 For Advent this year on The SEN Resources Blog, we are trying out and sharing a Children’s Christmas Activity every day- have a look at them here! 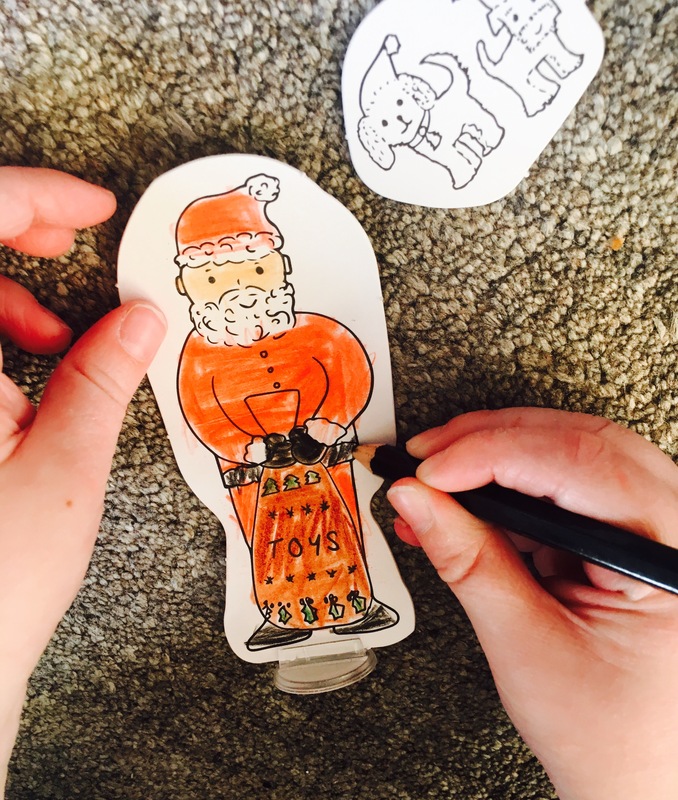 So far in December we’ve thought of ideas for our Elf on the Shelf, made Masking Tape Christmas Paintings, Made Dairy Free Christmas Tree Cake Pops, Coloured by Numbers and made Salt Dough Christmas Ornaments/Decorations. 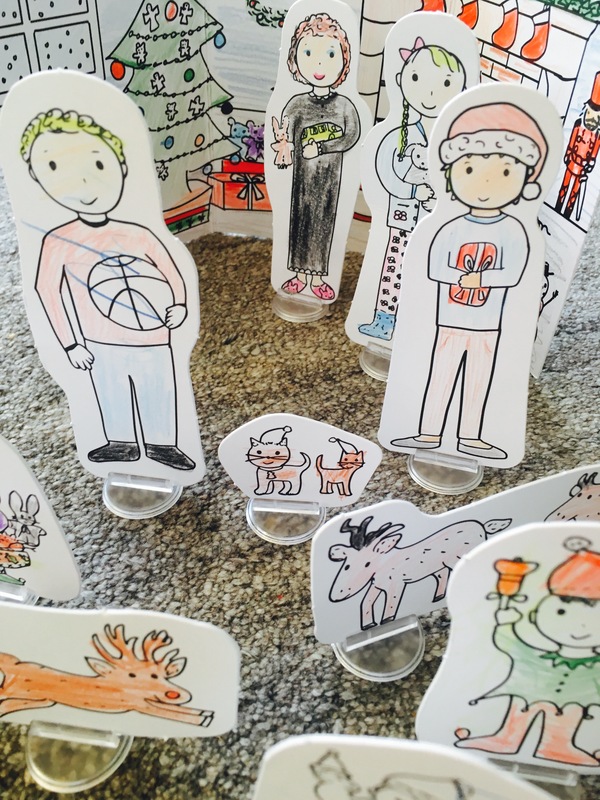 Today we’ve been trying out the adorable and brilliant fun Carddies Christmas Set. Carddies are portable colouring sets for children. Inside the box are colouring pencils as well as little cardboard people and a background to colour. Children can then have great fun playing imaginatively with their new toys! The Christmas Carddies background is a living room decorated for Christmas and it comes complete with Father Christmas, Elves, Children, Parents and presents. 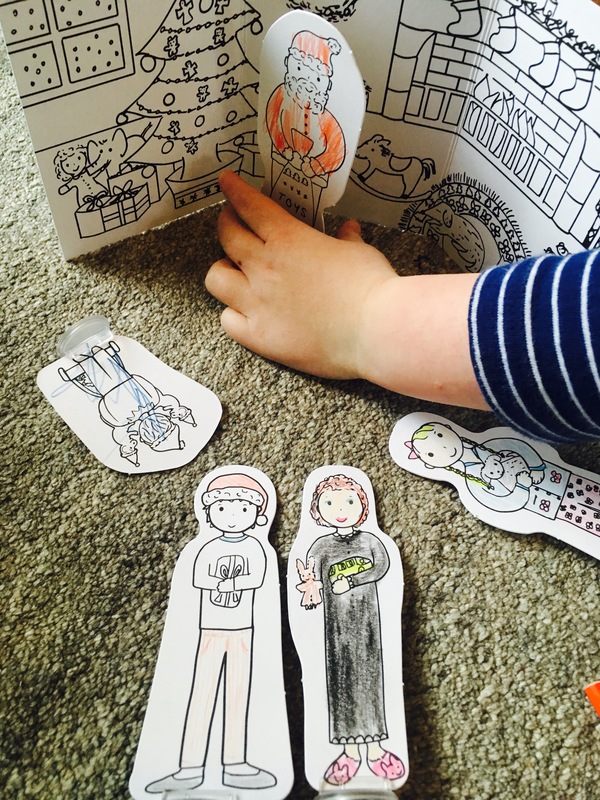 My children loved acting out Christmas Eve, getting the children to ‘sleep’ ready for Santa Claus coming with presents. They then enjoyed pretending the children were opening the presents on Christmas Morning. They look absolutely charming. What a clever little gift. Definitely on my shopping list.